If you don’t often associate nuns with environmental activism, you probably haven’t met the Sisters of Mercy. The Roman Catholic women’s organization strives to “act in harmony and interdependence with all of creation” by advocating action on climate change and standing in solidarity with pipeline protestors. This week, the Sisters reaffirmed their commitment to protecting all life on Earth, when they called on Congress to keep drilling out of the Arctic National Wildlife Refuge, the largest National Wildlife Refuge in the country. The future of ANWR is shaping up to be one of the most high-stakes environmental battles of the year. On one side are congressional Republicans led by Alaskan Senator Lisa Murkowski, who want to open the reserve’s 1.5 million acre oil-rich coastal plain to energy development. On the other, members of the Gwich’in Nation and environmentalists who say drilling in the refuge would be a disaster for Arctic wildlife. Tasked with raising a billion dollars in revenue as part of the GOP’s 2018 tax reform bill, the Senate Energy and Natural Resources Committee held a hearing on Thursday to see if the money could come from drilling in ANWR. Murkowski, who heads the committee, argued that oil extraction within the reserve would bring economic prosperity to the state, which would, somewhat ironically, help fund Alaska’s climate change mitigation efforts. But Sam Alexander, a former US Army Special Forces Officer and member of the Gwich’in Nation, argued the choice was exactly that, and that drilling in ANWR would ruin his people’s traditional subsistence way of life. Alexander and Sinnok may not have allies within Alaska’s congressional delegation, all three of whom support drilling. But faith leaders outside of Washington, including the Sisters of Mercy, are listening to them. 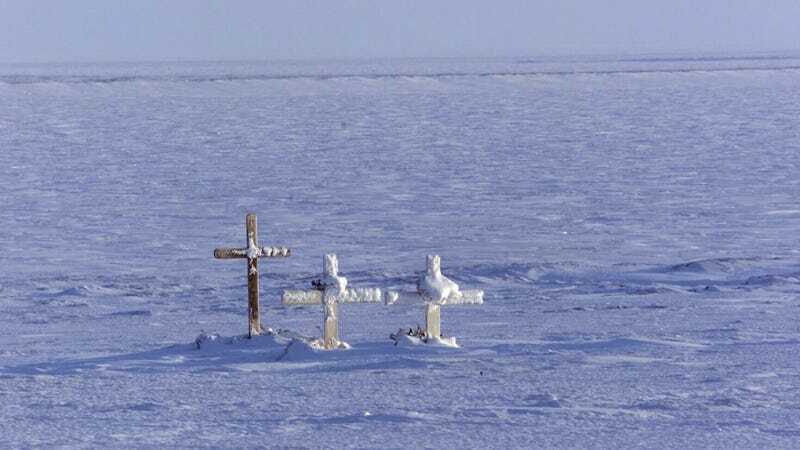 “Drilling in the Arctic refuge would be devastating to the people who live up there, their whole way of life,” Sister Janet Korn, a co-signatory on the letter sent by the Sisters of Mercy to Congress this week, told Earther. Katharine Hayhoe, a climate scientist at Texas Tech university, wasn’t surprised to hear about a Christian group speaking out on ANWR. An evangelical Christian, Hayhoe often draws on her faith to connect with religious audiences when talking about climate change and conservation. “Connecting the dots between our most deeply-held values and the impacts our choices and actions are having on our world is fundamental to helping us all understand why we need to wean ourselves off our old, dirty ways of getting energy as soon as possible,” Hayhoe told Earther. “We believe we humans have been given the responsibility to care for this amazing planet we live on,” she added. Brian Kahn contributed reporting to this article.